The official 6-inch Star Wars action figures for the Solo movie have been revealed and somehow they’ve got more information packed into them than the cryptic trailer for the movie. 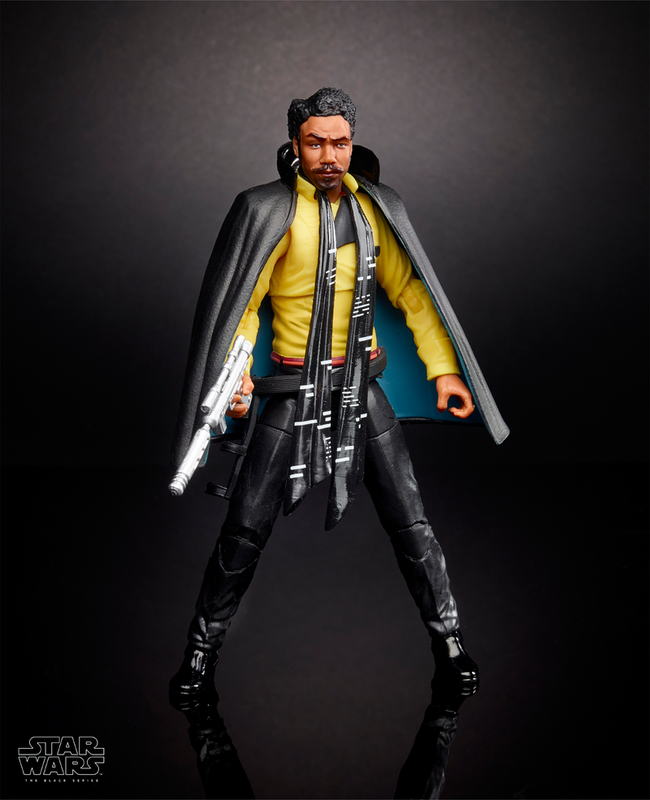 On Wednesday, i09 revealed the first images of the Star Wars Black Series toys made by Hasbro for Solo: A Star Wars Story, and they offer a clear look at most of the main cast with outfits and accessories. Whereas the trailer offered tons of footage from the movie, most shots were quickly cut away, which meant we really didn’t get a clear look at what everyone was wearing or where exactly they were. But these new toys at least give us a glimpse at how these characters will look, presumably when they’re on some snowy planet. 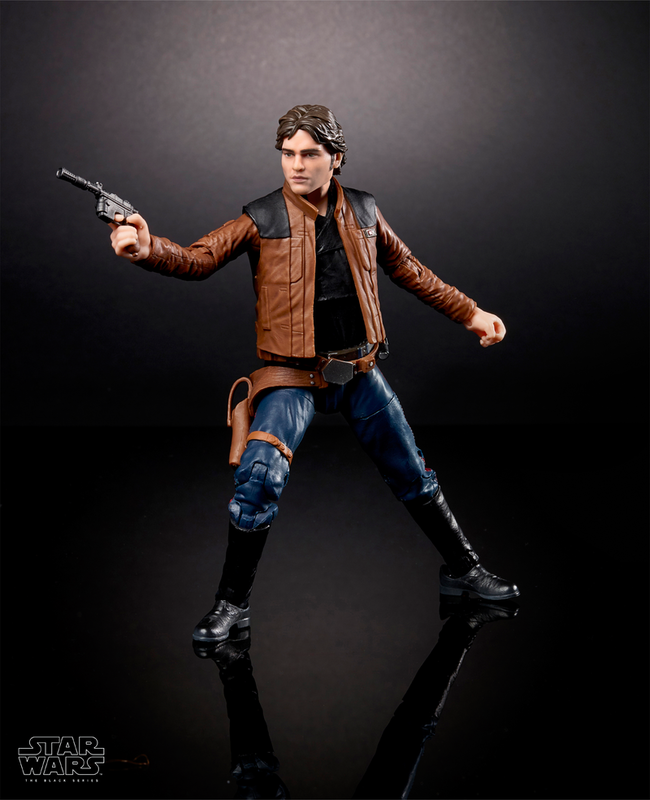 The Black Series toy of Alden Ehrenreich as Han Solo. It’s almost certainly the same weapon that Han used up until his death in The Force Awakens, except without the scope fastened to the top. He’s had the same weapon for all these years, but made some alterations along the way. Toy for Donald Glover’s Lando Calrissian. In the canonical Marvel comic miniseries called Lando, the character doesn’t wield any sort of blaster, but here — much like in the official poster — Lando clearly has a weapon. This toy also has the best expression by far, making us think that Donald Glover will continue being a scene-stealer in Solo. Here’s the toy for Emilia Clarke’s Qi’ra. 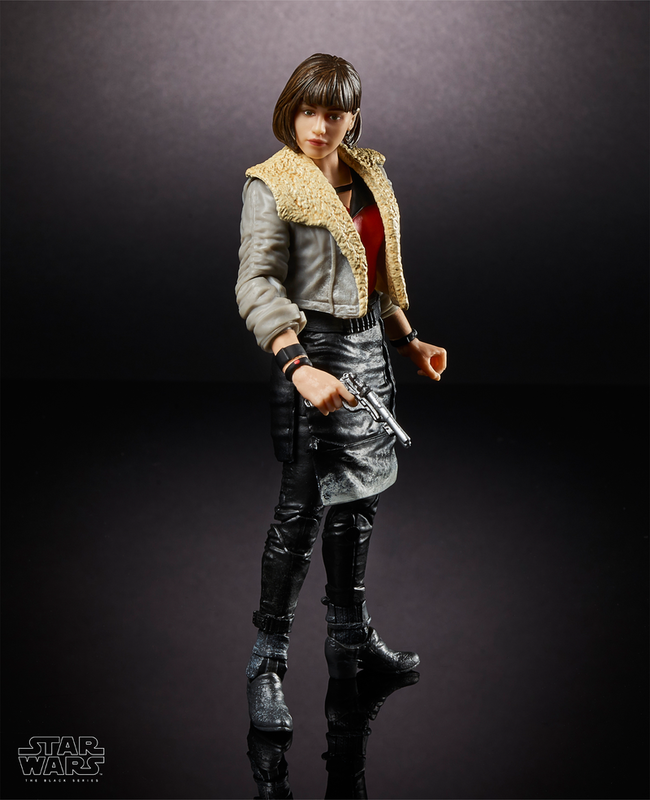 The toy version of Emilia Clarke's Qi’ra. We see Qi’ra at various points throughout the trailer, wearing different outfits as if she went from childhood friend of Han’s to some kind of regal adversarial position in the Empire. Is she a spy? Is she an enemy? Or is she Han’s roguish female counterpart? We really don’t know, and her toy figure admittedly doesn’t offer much more. Are those boots for walking in deep snow or are they part of a larger mecha exoskeleton to enhance this trooper? Between the fluffy coat and that armor, you can’t help but wonder if these troopers might be able to go toe-to-toe with a Wookie. 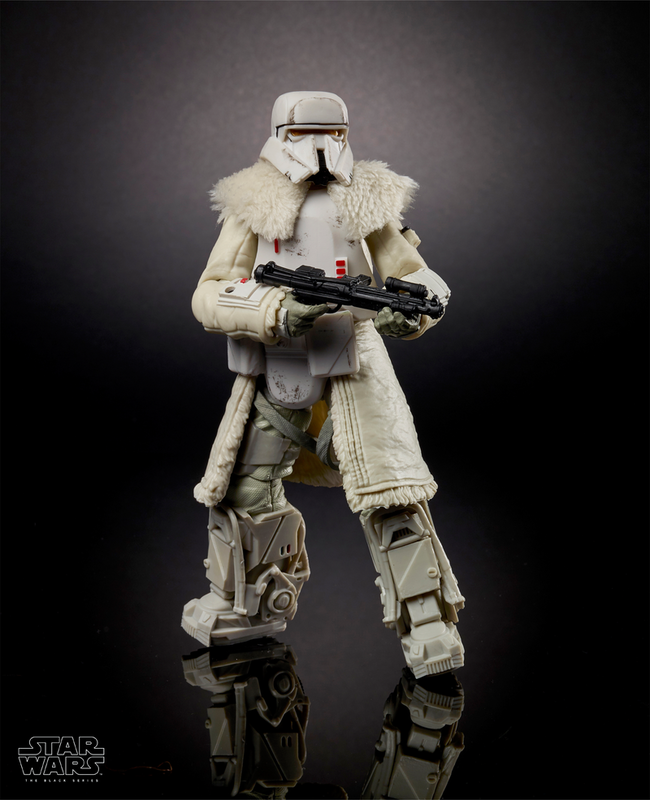 Even if not, considering the name — “Imperial Range Trooper” — these are probably some kind of snow sniper soldiers. All in all, these toys make it seem like a significant portion of Solo will take place on a snow planet, but what sort of mess has Han gotten himself into and what role will Lando and Qi’ra play? And more importantly: Where’s Chewie? We’ll have to wait a few more months to find out. Solo: A Star Wars Story will be released in theaters on May 25, 2018.